Picture this, you’ve just moved into your dream home. The pool is heated. The entertainment system has been purchased. Each room has been properly tidied. Something’s still missing, but you can’t quite put your finger on it. Have no fear, for we know a company who can work every switch imaginable. In the world of licensed electricians and contractors, Hotwire Electric should be your first and only choice. Why you may ask? Well according to those we have served, our team is the most reliable in the GTA. 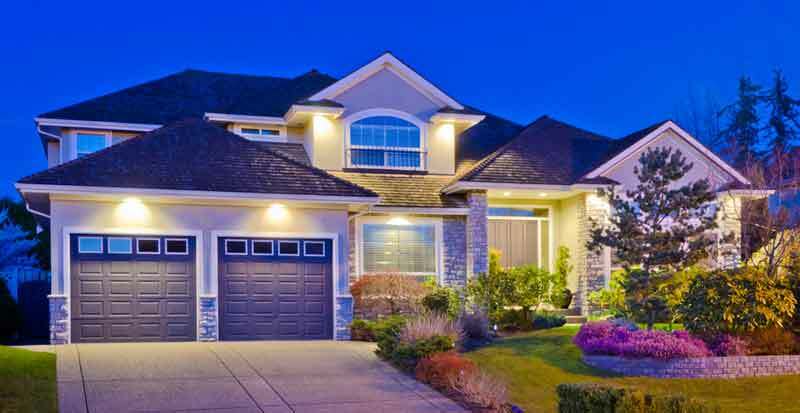 Whether it’s simple lighting over the pool, rewiring of your panel, or a sophisticated electric job on your home security system, Hotwire’s electrical contractors have never left a customer disappointed. Hotwire Electric is a renowned electrical service active for over twenty years in the Toronto, Vaughan and Richmond Hill areas. On occasion, we have also been known to expand our services to those in Mississauga, Newmarket and Barrie. With many Toronto residence abandoning the crammed, “shoulder to shoulder” lifestyle of the city, suburbia is seeing an influx in homeowners. As a result, the demand for home renovation and electrical work has never been higher. Among the many different companies in the GTA, Hotwire continues to be the talk of the town. Pushing the idea of the “smart home”, the company and our contractors promise stellar results in lighting installation, illumination and electrical rewiring. Hotwire is also extremely adamant about the significance of saving energy, taking every opportunity to steer our consumers in the direction of LED lighting. This lighting, particularly the standard LED bulb, supplies you with a 6w average as opposed to other types which use over 50w. When customers invest in LED lighting, we are one step closer in our objective of educating the public in energy conservation, nationwide. Not to mention, the customers save a pretty penny. Our team’s exceptional custom work has earned several awards. These include Trusted Pro’s Best Electrician, Top Choice Electrical Contractor of 2019 in the GTA, as well as Homestar Best Electrician nine years in a row! This is all thanks to strong word of mouth, and longevity that stretches two decades. Our company has also attracted the attention of the Toronto Star, Toronto Sun, EiEi Home and The Marc and Mandy Show. These platforms have given our enterprise enough exposure to reach those who haven’t heard of us. In fact, Hotwire’s custom homes electricians have been lauded for their professionalism, as well as their ability to complete an undertaking well ahead of schedule. Some have been known to finish in less than two days. Employees are quick to pursue each job with thorough attention to detail as well as the ability to quickly answer all of your questions. However, our company’s ability to get the job done is only one of the attributes we pride ourselves on. When a home or business owner needs electrical work done, Hotwire puts honesty ahead of everything. We know there are several factors one must consider before making this commitment and are always quick to bring them up. The company is sure to remind its customers about potential obstacles one may encounter with security, interior/exterior as well as simple furniture placement. In other words, we do everything in our power to make things easier for our consumers. Obstacles aside, Hannah is devoted to making sure that customers are ultimately satisfied with the results of our expertise. Our licensed electricians go by three principles: honesty & integrity, hard work and competitive pricing. Electrical contractors enter each establishment with these ethical standards in mind, all while making sure that customers are listened to. With the guidance of Hannah and other experts, Hotwire’s impact in the world of electrical work in undeniable. For the last twenty-years, our licensed electricians and contractors have worked tirelessly to make sure your home enjoys nothing but the best results. The team’s dedication is unrivaled in the GTA, with praise that continues to grow as its customer base only widens. Our next goal: to have you and yours join the list of happy customers.